SPARCL™ assays are simple luminescence-based immunoassays that allow measurement of biomarkers in as little as 30 minutes. A great alternative to ELISA’s. We manufacture ELISA kits for cardiac troponin-I, myoglobin, fatty acid binding protein, and myosin light chain-1. Kits are available for species including mouse, rat, rabbit, dog, pig, and monkey. Our kits have been used extensively since 2003 and are widely referenced in the scientific literature. After skeletal muscle injury, proteins including troponin-I, myoglobin, and FABP are released into the blood. Measurement of the levels of these biomarkers allows assessment of the extent of muscle damage. 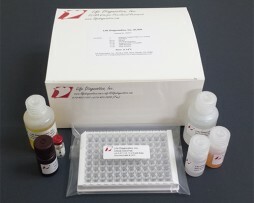 We manufacture skeletal muscle biomarker ELISA kits for mouse, rat, rabbit dog, pig and monkey. Acute phase protein levels increase in blood and other bodily fluids as a result of inflammation, tissue injury and disease. They are used as biomarkers of disease in humans, companion animals, livestock and species used in preclinical research. When selecting an acute phase biomarker it is important to appreciate that a good biomarker in one species is not necessarily useful in other species. 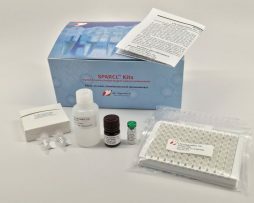 Welcome to Life Diagnostics, Inc.
SPARCL™ Kits allow measurement of biomarkers in serum and plasma using a single 30-minute incubation that requires no wash steps. Click here for a short video that illustrates SPARCL™ or go to our SPARCL™ kits page for a list of available assays. Acute phase proteins including alpha-1-acid glycoprotein, CRP, haptoglobin and SAA are used as biomarkers of inflammation, infection and tissue injury. We manufacture ELISA kits, purified proteins and antibodies for acute phase protein research and diagnostic assay development in preclinical research species, companion animals and livestock. We aid the development of new drugs, diagnostic assays and surgical procedures by manufacturing ELISA kits for cardiovascular biomarkers including troponin-I, myoglobin and FABP in all species used in preclinical research. High purity TnI, myoglobin and FABP for use as standards/controls, or for antibody development, are also available. Anti-KLH, -sheep red blood cell and -tetanus toxoid IgM and IgG are used as biomarkers of immunotoxicity. 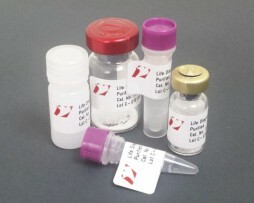 We manufacture ELISA kits for these biomarkers in mice, rats, chickens, and monkeys.